Toyota joins the forces with Japan Aerospace explanation agency to build a powerful auto drive Toyota Jaxa Luna Rover that will land on the moon. 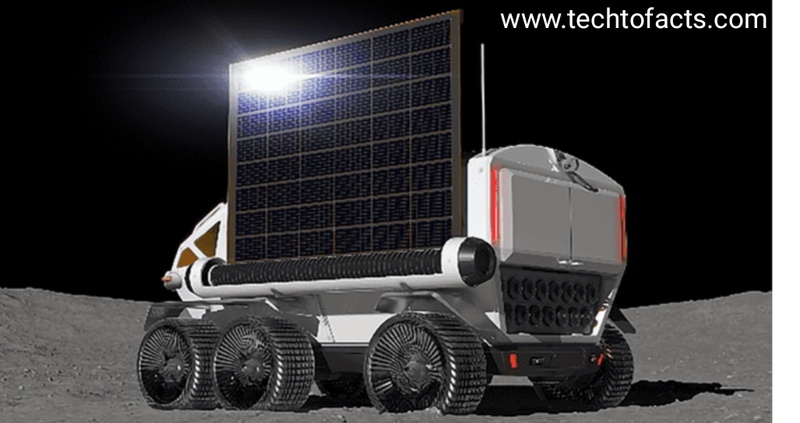 There is the good news from Toronto company they launched Toyota Jaxa Luna Rover on the moon in 2029. The Rover is only walk in the moon this is the dream project that comes true. The name of the car is Toyota Jaxa Luna Rover. The launching date of Toyota Jaxa Luna Rover on the Moon is 2029. 1. Only two people sitting at same time in the car. 2. Toyota Jaxa Lunar Rover has come with 6 electrical wheels. 3. Toyota Jaxa Lunar Rover cover 10000 km distance in Moon without any fuel. 4. Toyota Jaxa Lunar Rover specially made for astronauts and two astronauts can sit at same time in this car. 5. Toyota Jaxa Luna Rover is the auto-driving car there is no need for the driver to driving this car. 6. 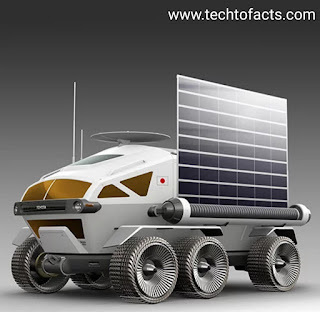 Toyota Jaxa Luna Rover car is made like home two people are live in this car like they living in the home and home features are also provided in this car. 7. While sitting in Toyota Jaxa Luna Rover astronauts no needs for moon suit they can wear simple home clothes in the car and no need of oxygen all facility provided in this car. 8. 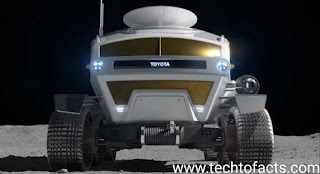 Toyota used Fuel Cell Vehicle(FCV) Technology in Jaxa Luna Rover car that means charging system is available in this car because there is no petrol pump in Moon. 9. Toyota Jaxa Lunar Rover is 6 metre tall the width of this car is 5.2 meter and the height of this car is 3.8 meter that means this car is equal to 2 mini bus. 10. 13 cubic metre living space is available in Toyota Jaxa lunar Rover. 11. In emergency 4 people live in Toyota Jaxa Luna Rover. 12. This car is specially made for running in Moon surface. For charging of Toyota Jaxa Luna Rover Fuel Cell Vehicle(FCV) technology is used. In FCV (Fuel Cell Vehicle) a battery is used, a fuel cell of oxygen and compressed hydrogen is used which react with each other and produce electricity. 1. What is 5g network technology? 2. Wing commander Abhinadan Vardman Biography. 4. How to get more Instagram followers? 5. How to start a free e-commerce business with amazon? Get ready to go in the moon in future and enjoy the long drive in Toyota Jaxa Luna Rover in the moon surface booking is available soon. This car tells us the future of technology and also tell us how much technology is important in our day to day life Technology is very advanced technology is the best friend of a human being.